The front door to your home or business is THE most important access point in the building. Your front door decides just how safe and closed off you are to the world around you. Securing your property is obviously incredibly important, but far too often it feels like people forget about their front door. In the mad dash to the store in order to buy security systems, we routinely see people limit their front door to just a simple, one-lock mechanism. While the majority of people will never have their home or business broken into, we still want to help you prepare for the possibility. Today, we will be discussing the important factors that you must consider when picking a front door lock security system. Alright, the majority of the time your front door will be fitted with a deadbolt and a doorknob lock. Most people will rarely ever look to upgrade these locking mechanisms, and that's a shame. Upgrading your front door security can go a long way toward keeping your home, and all that is inside of it, safe and secure. If you're reading these words right now, you are already considering an upgrade. What factors do you need to consider when shopping for an upgrade? 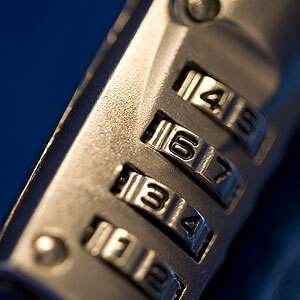 Accessibility - First and foremost, you have to look at the accessibility factor when shopping for locks. Do you want something that is quick and easy to use? Then a keyless security lock might be something for you. Punch in a short personalized code and you are in. Strength - It is no surprise that some locks are stronger than others. In fact, similar types of locks can be wildly disparate in terms of their strength and endurance. All deadbolts are not made the same and if you want to hear more, ask a professional locksmith to explain the differences between security grades. Usage - Different from accessibility, usage denotes how many people are going to be accessing the lock. If you have four people living in your home, do you want to cut four separate keys? Do you want a keyless system with a shared code? Visual Appeal - We placed visual appeal last on our list for a reason, it is the least important factor to consider. Still, you have to consider how your lock looks in order to properly pick the right system for you. Deadbolts look one way, keyless locks look another. Find what looks right for your home. For further details on picking the right security system for your front door, contact Glenferrie Lock & Key P/L. Moving to a Pre-Owned House: Why Should You Consider Rekeying? Can a Smart Lock be Paired with an Old Existing Deadbolt? 2019 Business Security Locking Systems: Why Should You Upgrade?